Nethold Group has sold 2 units at Baken Gardens in Pretoria North to property investor, Strauss Odendaal (pictured above). ''Nethold Group has the ability to pick great little gems with great returns for the small property investor, '' says Mr Odendaal. ''Baken Gardens is a fantastic investment. I especially like the fact that the units have tenants in already and is fully managed. That saves me a lot of time and I do not have to find tenants myself. The units are also close to a shopping centre, school and public transport,'' he explains. 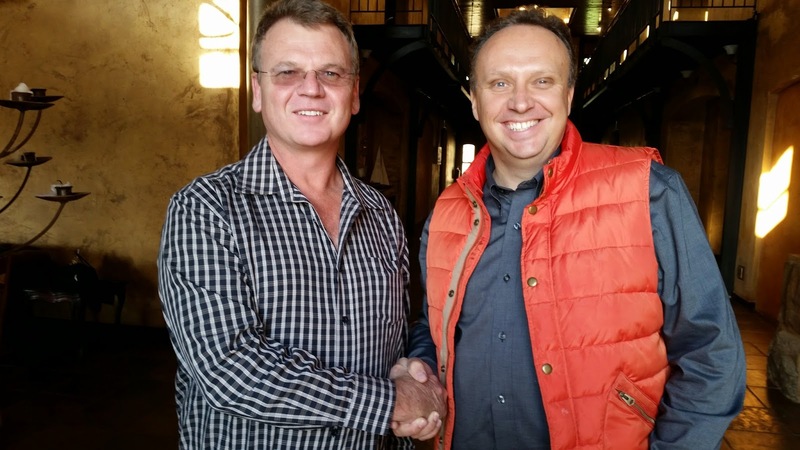 Leon Jordaan, CEO and owner of Nethold Group (pictured above) agrees with Mr Odendaal. This is definitely the investment bargain of the year. The units at Baken Gardens are fully tenanted, fully managed by property managers and for a sale price of under R300,000! For this price, there is also no transfer duties payable. Investors have the option of keeping the current tenants, or to take the property vacant. Best of all, the units are selling below market value, which gives the investor immediate equity of R30k+ Click here for more information of units for sale at Baken Gardens. Nethold Group wishes Mr Odendaal the very best of success with his brand new investment properties! Nethold Group is a South African company that buys, rents and sells great value properties. If you are interested in buying an investment property, Nethold Group might be the seller you are looking for. Nethold Group has under market value properties for sale.